The Project: Located in the vibrant Zilker neighborhood in Austin, Texas, this custom home was built in partnership between Kris White of DCA and boutique developer Vinson & Radke. The home combines unmistakable mid-century influences with a neutral color palette and generous amounts of natural light that suffuse its living spaces with warmth. The Fenestration: “We use light and glass almost like its own material,” White says of this light-filled modern home. Contemporary styled windows and doors are used to create connectedness between the home and the yard, the neighborhood and the city itself, a feeling White really wanted to convey through the architecture. On the open, right side, he used two multi-sliding glass doors spanning a total of 32 feet to physically connect the living and dining rooms to the sleek, white, seamless patio and visually to the outdoors and yard beyond. 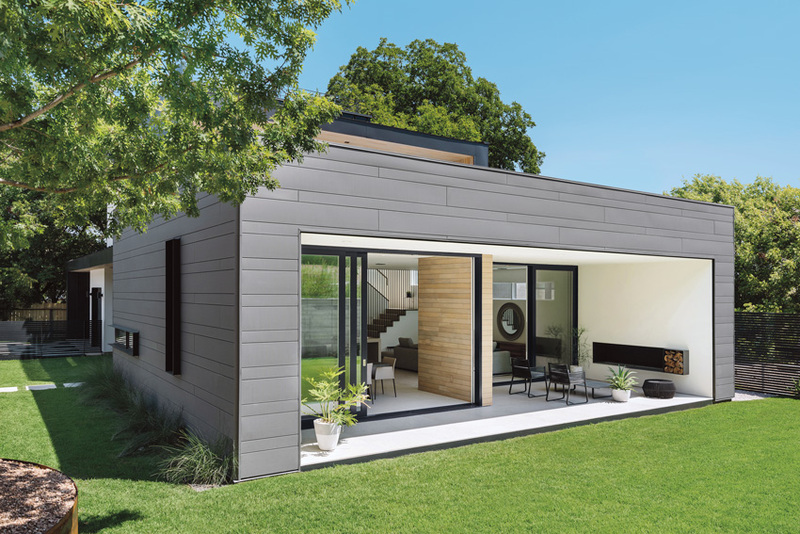 Another benefit of the windows’ interior wood cladding is that it reinforces the home’s mid-century aesthetic and design philosophy, where a sense of connectedness to the environment was created by bringing natural materials like stone and wood inside. “The windows complement the architecture,” White says. The Results: The home’s thoughtful architecture, considered materials, and color palette are beautifully executed in a way that perfectly complements the site, the neighborhood, and the city. Connectedness doesn’t get any more complete than that. The Project: Originally intended to be a 50,000-square-foot new national headquarters comprised of two separate buildings with the option to expand, the new American AgCredit building in Santa Rosa, California, blossomed into a 120,000-square-foot work of art. Completed in March 2016, this “Building in Motion” is comprised of two organically shaped buildings surrounding a central courtyard that is bridged together on two levels. The top floor is conjoined by a roof walk that connects the upper wings of the building. As the light interacts with the shapes throughout the day, this building presents more as a kinetic sculpture than a headquarters of an agricultural financing institution. The Design: TLCD Architecture, also of Santa Rosa, worked synergistically with client and contractor Jim Murphy & Associates to bring the many goals into fruition, including a flexible floor plan to accommodate rapid growth and change, collaborative space and transparency to reflect the company culture, and an energy-efficient and sustainably designed structure. TLCD served as both the architect and the interior designer, making for a very cohesive approach toward the design. With flexibility at the forefront of the client’s goals, concepts like circulation, indoor/outdoor connection, space for individual concentrated work, places to connect, and flex space were all part of the project. Creating the most agile interior possible to satisfy the requirements of the workforce at the headquarters, different work zones were addressed throughout the floor plan. From open office workstations that convert from sitting to standing positions to demountable semi-transparent private office partitions, flexibility was the main objective. With a client requirement for energy efficiency and LEED certification, pigmented exterior perforated zinc panels were selected to be installed over a curtain-wall exterior to help mitigate some of the impact of the sun and provide structural sun shading. Raised floors accommodating wiring and displacement air distribution provide energy-efficient and superior interior air quality. Furthermore, environment-controlled motorized window shades and a plethora of daylight harvesting minimize the energy consumption of this building and yield a comfortable workplace for all. The interior environment is further highlighted with smart furnishings and impressive artwork. Three walls in the interior are home to large installations, from the epic rammed earth wall at the reception that is formed with layers of soil collected at the various branch locations of American AgCredit across the United States, to a two-story cowhide wall mural that tells an aerial story of the surrounding agricultural land, to the wine barrel wall representing the many local clients of this Northern Californian location. All these well-chosen details amount to a truly modern and forward-thinking workplace environment. The third-floor executive boardroom is the pièce de résistance situated in prime orientation to capture all the beauty the location has to offer, with stellar views of Mt. St. Helena, the surrounding hillsides, and the fields of grapevines surrounding two sides of the building. The Fenestration: To achieve a light-filled interior, the shallow building is wrapped in a glass facade so light from both the surroundings and the central courtyard flood the interior with natural daylight. The glass allows the occupants to connect to the outside views and one another from almost every angle. This concept was further carried into the two meeting/project rooms that are adaptable for various-sized group work. To achieve this, TLCD specified two opening glass walls made up of single track sliding glass wall systems, which can be opened or closed to suit the needs of the group. “We were looking for a product that was easy to operate, energy efficient, has very clean lines, and is modern. 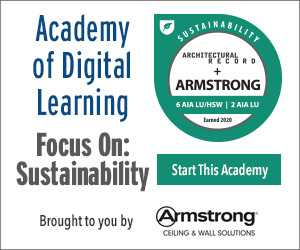 We are very comfortable using the product that we ultimately selected,” says Don Tomasi, AIA, principal of TLCD. The 9-foot-9-inch-tall panels conveniently slide into a parking bay when open and close with simple operation when the space needs to be occupied by two groups working on different projects. Tomasi continues, “One of the most important things we did relative to the interface between the indoors and the outdoors is to use sliding glass partitions.” The use of the opening glass walls allows for visual connection balanced with the required acoustical privacy for groups working in tandem. The Results: With sustainability tantamount to contemporary commercial building practices in this region, the American AgCredit headquarters exceeded the LEED requirements for Gold-level certification. This “Building in Motion” encourages both the occupants and visitors to explore all it has to offer—from inside to outside, across bridges and through various outside spaces, to the adaptable interior spaces.